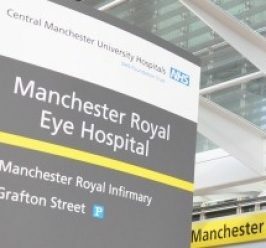 The Manchester Royal Eye Hospital has a dedicated centre for treating patients with cataracts. The dedicated centre enables us to see patients quickly, in a unit designed to look after patients with cataracts. A cataract is when the lens in the human eye slowly goes cloudy, this is usually linked to aging. The cloudiness causes blurring of vision which slowly worsens over time. Surgery is the only proven treatment for cataracts; the procedure involves removal of the cloudy lens and replacement with a clear artificial lens. Cataract surgery is the most commonly performed operation in the UK each year. 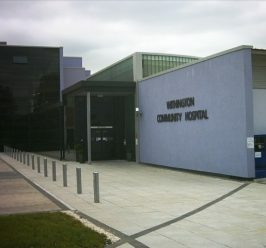 The Manchester Royal Eye Hospital has a dedicated centre for treating patients with cataracts based at Withington Community Hospital. The staff from the Eye Hospital travel to Withington to perform the assessments and operations in a unit specifically set up to treat patients with cataracts. Why choose Withington Cataract Centre? We are able to offer surgery to remove the cataract permanently. You will be assessed at an outpatient appointment and then should you wish to proceed with cataract surgery a surgery date will be fixed before you leave our unit. Following the identification of a cataract, a referral to be assessed for cataract surgery is made via your community optometrist or GP. You will receive a letter inviting you to attend a consultation with one of our specialist ophthalmic doctors. Your consultation will take place at the cataract centre at Withington Community Hospital. The dedicated facility means that all pre-surgery checks and the procedure can take place here. You will only attend one clinic appointment before the procedure and you will be looked after by a number of clinical professionals. Your eyesight will be tested by one of our healthcare support workers or nurses. Drops to dilate your pupils may be required as part of the examination and will be put in after your eyesight is tested, you will sit in the waiting room while these take effect. A specifically trained hospital optometrist or ophthalmology specialist will examine your eyes. Together you will discuss your vision and how it affects your everyday activities. You will be provided with all the information you need to make an informed decision as to whether or not cataract surgery is right for you. You will have the chance to ask any questions. If you decide to proceed with cataract procedure, a specialist nurse will use a machine to measure the dimensions of your eye, this is called a biometry scan and will determine the size of lens you will need. Before leaving the clinic you will given the opportunity to select the most convenient date for your procedure, with dates available within 2 weeks. To help you plan for your visit, please bear in mind the appointment can take up to 2-3 hours, as the appointment is designed so you only attend once before the procedure. As a result of any drops put into your eyes we do not recommend driving for 3-4 hours after your appointment, so you may wish to bring someone with you. When you arrive for your procedure you will be welcomed and provided with a locker for your personal belongings. You will be taken into a patient lounge area where your doctor will assess your general wellbeing. Your nurse will ask some questions about your medical history, check your blood pressure, pulse and temperature and put some eye drops into your eyes. You will then go through to the anaesthetic room where you will be given more eye drops and be made comfortable in preparation for the procedure. The cataract procedure can take between 15 and 45 minutes depending on the severity of your cataract. Your nurse will be with you to keep you company and ensure you are comfortable; the surgery itself is not normally painful. Once the surgery is finished you will be taken back into the quiet patient lounge area and offered a drink and something to eat. You will need to stay here for 20-30 minutes following surgery. Before leaving, you will be able to arrange your post-operative assessment, which will take place 4-6 weeks after surgery. Withington Cataract Centre operates a pooled service and the clinician you see in your initial consultation may not be the same as the surgeon who carries out your cataract surgery. This means we are able to offer you a date for your procedure sooner. Mr George Turner - Consultant Ophthalmic and Vitreo-retinal Surgeon. Associate Head of Division. Mr Stephen Charles - Consultant Ophthalmologist and Vitreoretinal Surgeon. Lead Clinician in the Medical and Surgical Retina Service.